Power Quality issues are becoming a major concern of today’s power system engineers. 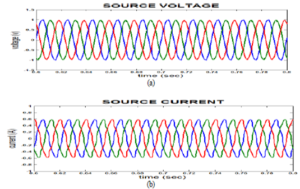 Harmonics play significant roll in deteriorating power quality, called harmonic distortion. Harmonic distortion in electric distribution system is increasingly growing due to the widespread use of nonlinear loads. Large considerations of these loads have the potential to raise harmonic voltage and currents in an electrical distribution system to unacceptable high levels that can adversely affect the system. IEEE standards have defined limits for harmonic voltages and harmonic currents. 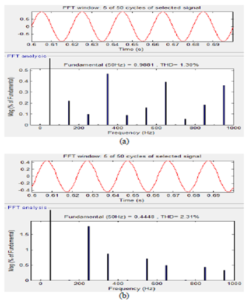 Active power filters have been considered a potential candidate to bring these harmonic distortions within the IEEE limits. 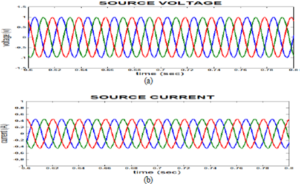 This paper deals with an active power filter (APF) based on simple control. 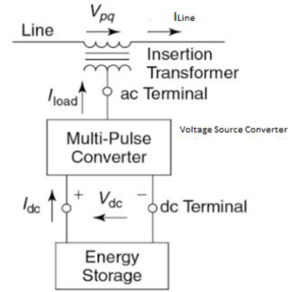 A voltage source inverter with pulse width modulation (PWM) is employed to form the APF. A diode rectifier feeding capacitive-resistive load is considered as nonlinear load on ac mains for the elimination of harmonics by the proposed APF. MATLAB model of the scheme is simulated and obtained results are studied. A simple control scheme of the single phase active power filter is proposed which requires sensing of one current and two voltages only. 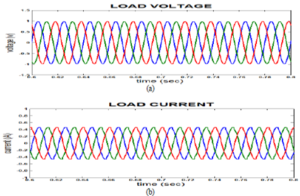 The APF results in sinusoidal unity power factor supply current. It is concluded that the reduced value of dc bus capacitor is able to give quite satisfactory operation of the APF system. The voltage controller gives fast response. The proposed APF is able to reduce THD of supply current and supply voltage below prescribed permitted limits specified by IEEE 519. D. C. Bhonsle, Dr. R. B. Kelkar and N. K. Zaveri, “Power Quality Issues-In Distribution System”, IE(I) 23rd National Convention of Electrical Engineers, Pune, November 2007 Proceedings, pp. 108-111. 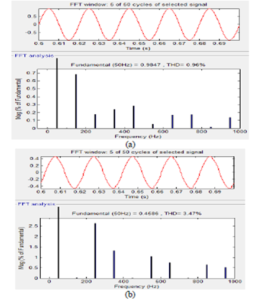 K. C. Umeh, A. Mohamed, R. Mohmed, “ Comparing The Harmonic Characteristics of Typical Single Phase Nonlinear Loads”, National Power Energy Conference (PECon) 2003 Proceedings, Bangi, Malaysia, pp. 383-387. 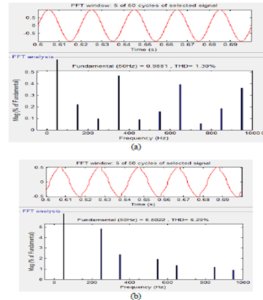 Mohamed S. A. Dahidah, N. Mariun, S. Mahmod and N. Khan, “Single Phase Active Power Filter for Harmonic Mitigation in Distribution Power Lines”, National Power and Energy Conference (PECon) 2003 Proceedings, Bangi, Malaysia, pp. 359-362. Dalila Mat Said Ahmed, Abdullah asuhaimi, Mohd Zin, “Power Supply Quality Improvement: Harmonic Measurement and Simulation,” National Power and Energy Conference (PECon), 2003 Proceedings, Bangi, Malaysia, pp. 352-358. 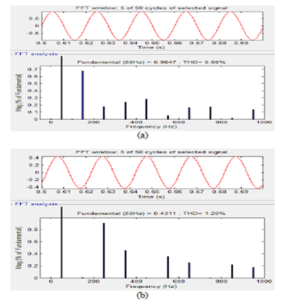 C. Gopalkrishnan, K Udaykumar, T. A. Raghvendiran, “Survey of Harmonic Distortion for Power Quality Measurement and Application of Standard including Simulation,” 2001, Anna University, India. This work deals with the utilization of solar photovoltaic (SPV) energy in the brushless DC (BLDC) motor driven water pump. 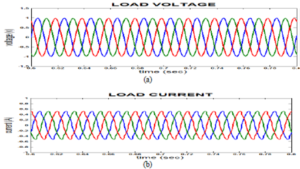 A DC-DC boost converter, used as an intermediate power conditioning unit plays a vital role in efficiency enhancement of SPV array and soft starting of the BLDC motor with proper control. The speed control of BLDC motor is performed by PWM (Pulse Width Modulation) control of the voltage source inverter (VSI) using DC link voltage regulator. No additional control or current sensing element is required for speed control. 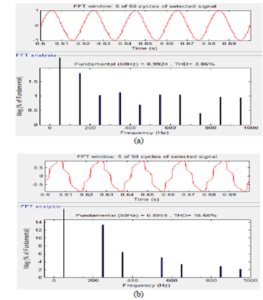 The behavior of proposed pumping system is demonstrated by evaluating its various performances through MATLAB/simulink based simulation study. Fig.1 Configuration of PV array fed BLDC motor-pump. 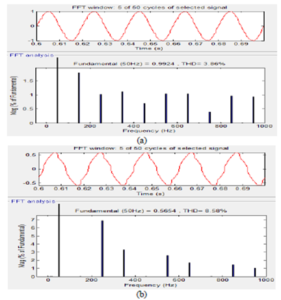 Fig.5 Dynamic performance of solar PV array. The SPV Array fed boost converter based BLDC motor driven water pump has been proposed and its suitability has been demonstrated by analyzing its various performance indices using MATLAB based simulation study. A simple, efficient and economical method for speed control of BLDC motor has been suggested, which has offered absolute elimination of current sensing elements. The proper selection of SPV array has made the boost converter capable of tracking MPP irrespective of weather conditions. An optimum design of the boost converter has been presented. The safe starting of brushless DC motor has been achieved without any additional control. The desired performance of proposed system even at 20% of standard solar irradiance has justified its suitability for solar PV based water pumping. R. Kumar and B. Singh, “Solar PV array fed Cuk converter-VSI controlled BLDC motor drive for water pumping,” 6th IEEE Power India Int. Conf. (PIICON), 5-7 Dec. 2014, pp. 1-7. M. A. Elgendy, B. Zahawi and D. J. Atkinson, “Assessment of the Incremental Conductance Maximum Power Point Tracking Algorithm,” IEEE Trans. Sustain. Energy, vol.4, no.1, pp.108-117, Jan. 2013. J.V. Mapurunga Caracas, G. De Carvalho Farias, L.F. Moreira Teixeira and L.A. De Souza Ribeiro, “Implementation of a High-Efficiency, High-Lifetime, and Low-Cost Converter for an Autonomous Photovoltaic Water Pumping System,” IEEE Trans. Ind. Appl., vol. 50, no. 1, pp. 631-641, Jan.-Feb. 2014. N. Mohan, T. M. Undeland and W. P. Robbins, Power Electronics: Converters, Applications and Design, 3rd ed. New Delhi, India: John Wiley & Sons Inc., 2010. M. H. Rashid, Power Electronics Handbook: Devices, Circuits, and Applications,” 3rd ed. Oxford, UK: Elsevier Inc., 2011.